Initiating a divorce is often the single most important emotional and financial decision a person can make in their lifetime. Although divorce is never the most desirable outcome of a marriage, it can sometimes be the best way to preserve the quality of life for all parties concerned, especially if dependant children are involved. A bad marriage can be resolved with a divorce, but a bad divorce can sometimes never be resolved. Going through a divorce without good legal representation can be a disastrous mistake that could affect your quality of life for many years to come. The wishes of the child’s parent or parents, and any de facto custodian, as to his custody. The wishes of the child as to his custodian. The older the child is the more likely it is that the court will give consideration to the child’s wishes. Judges consider the child's maturity level as demonstrated by such factors as performance in school. A child simply stating that he or she wishes to live with a parent does not guarantee that the court will grant the child’s wish. The circumstances under which the child was placed or allowed to remain in the custody of a de facto custodian, including whether the parent now seeking custody was previously prevented from doing so as a result of domestic violence and whether the child was placed with a de facto custodian to allow the parent now seeking custody to seek employment, work, or attend school. The court is not allowed to consider conduct of a parent that does not affect his or her relationship to the child. Marital misconduct with another party and violence between the parties are factors that can arise. Just because one parent or the other has been unfaithful does not disqualify that parent from consideration as a custodian. If there was marital misconduct in the presence of the child it may be considered if not it is unlikely that the court will find it relevant. If domestic violence and abuse is alleged, the court has to determine the extent to which the domestic violence and abuse has affected the child and the child's relationship to both parents. The abandonment of the family residence by a custodial party is not be considered where a party was physically harmed or was seriously threatened with physical harm by his or her spouse, when such harm or threat of harm was causally related to the abandonment. If the court grants custody to a de facto custodian, the de facto custodian shall have legal custody under the laws of the Commonwealth. If you are facing a divorce with children, your priority is most likely protecting the wellbeing of your children, as well as securing your rights to custody or visitation. We will work with you and your family to devise an appropriate solution that accommodates both your children's best interests and your rights. Rogers & Driver, PSC is experienced in handling divorce cases involving child support, visitation and custody. Economic circumstances of each spouse when the division of property is to become effective, including the desirability of awarding the family home or the right to live therein for reasonable periods to the spouse having custody of any children. All property acquired by either spouse after the marriage and before a decree of legal separation is presumed to be marital property, regardless of whether title is held individually or by the spouses in some form of co-ownership such as joint tenancy, tenancy in common, tenancy by the entirety, and community property. People often fail to realize that retirement benefits earned by them are, with some exception, considered marital property. Even though one spouse may not have been employed he or she will be entitled to have the other spouses retirement counted as marital property. At the time of divorce, one of the most contentious issues can be the division of property, especially if you and your spouse jointly own a business, a home or retirement accounts. Rogers & Driver, PSC is dedicated to helping clients protect their rights in the division of assets including real estate, business assets, savings, retirement accounts and debt. In addition to the division of assets, you may also be concerned about your financial security. We are experienced in helping our clients collect spousal support or alimony as well as defending clients against unmanageable support obligations. If you are facing divorce and are concerned about financial security or your rights related to spousal support, please contact Rogers & Driver, PSC for a consultation. At the time of divorce, the court will decide both legal and physical custody that will determine where your child will reside and go to school as well as which parent or parents have the right to make decisions regarding the child’s well-being. At Rogers & Driver, PSC, we take a comprehensive approach to understand your objectives and your child’s best interests and protect your interests in custody. We know how to collect necessary evidence and documentation to support your case from negotiations through trial. Parenting time or visitations give the non-custodial parent the right to visit a child. A parenting time or visitation schedule can be sought in a paternity or divorce action. We will help you explore your options and alternatives as you assert your rights to parenting time or visitation. We are also experienced in handling visitation rights for grandparents and other third-parties. Grandparents’ rights involve grandparents asserting rights to custody or visitation to a grandchild. 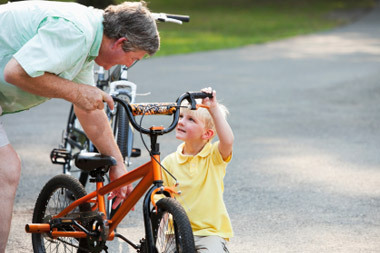 Grandparents may become involved if they are prevented from seeing their grandchildren or if they feel that a child's well-being is threatened by neglect, abuse, or drug or alcohol addiction. Many grandparents will pursue a case where a family dispute causes a parent to prevent the grandparent from seeing a grandchild. Can I get visitation to see my grandchild? If you can show by clear and convincing evidence that it is your grandchild’s best interest to visit with you and you can overcome the difficult standard set by law, Rogers & Driver, PSC will work with necessary professionals, interview witnesses and present all evidence needed to support your case to see your grandchildren. Kentucky recognizes “de-facto custody.” A person claiming to be a de facto custodian, as defined by the law, may petition a court for legal custody of a child. The court shall grant legal custody to the person if the court determines that the person meets the definition of de facto custodian and that the best interests of the child will be served by awarding custody to the de facto custodian. “De facto custodian” means a person who has been shown by clear and convincing evidence to have been the primary caregiver for, and financial supporter of, a child who has resided with the person for a period of six (6) months or more if the child is under three (3) years of age and for a period of one (1) year or more if the child is three (3) years of age or older or has been placed by the Department for Community Based Services.